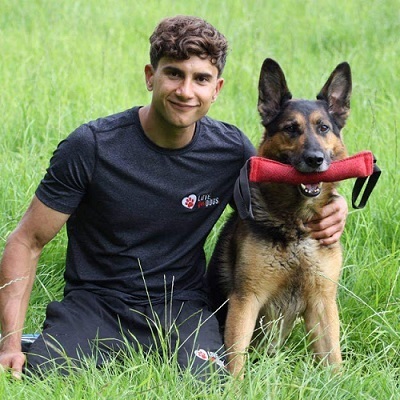 These two hour workshops will be focused on the content of Craig’s extremely popular book the “Interactive Play Guide”, this offers a unique look at how we can implement a reinforcing play system that is based on our dogs making the choice to play and adjusting our technique to suit each dog as an individual. During the workshop we will take an interactive journey, looking at how to effectively adjust toy play to the reinforcement preferences of the specific dog that you are working with. Craig will talk and walk you through a proven, tried and tested step by step acronym-based system that will help you to use the joy of play to improve relationships, build confidence, create motivational focus and implement alternative forms of positive reinforcement. You will also learn how to avoid and overcome some of the common problems during play, such as over-arousal and problematic behaviours. * Learn how create structured, consistent, positive interactive play sessions with your dog. * Develop the ability to adjust interactive play to suit each dog as an individual based on the evaluation of behaviour. * Understand how to implement the joy of play to fulfil your dog’s natural desires, improve relationships, build confidence and increase motivational focus. * Build an understanding of how to avoid and overcome problems during play such over-arousal and problematic behaviours. * Incorporate the power of play into both behavioural and training settings. * Implementing alternative forms of positive reinforcement into our dog’s lives. * Gain the ability to communicate with your dog during structured periods of positive stimulation. Please Contact Us for further information or to book.